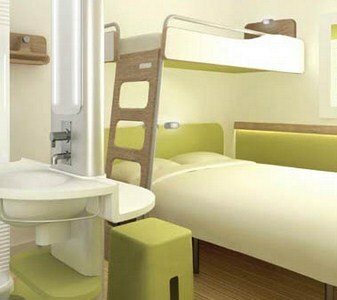 Formule 1 is a chain of over 80 ultra-economical hotels around the world for sleeping well at the lowest price 24/7. You will always find a Formule 1 hotel on your route in Belgium, Germany, Spain, Great Britain, Netherlands, Sweden, Switzerland, as wellas in South Africa, Australia, Brazil and Japan. Clean, comfortable and affordable rooms. Each room includes a double bed, full-size bunk bed, hand basin, adjustable air-conditioner/heater, writing desk, colour television, en-suite shower and toilet. Eat as much as you like, light continental breakfast. Assortment of cereals(3 choices), fresh bread (white and brown) and rolls, assortment of jams (3 choices), butter, milk, tea, coffee and hot chocolate, choice of two juices and fresh apples. for SUN1 Inn Park Station.